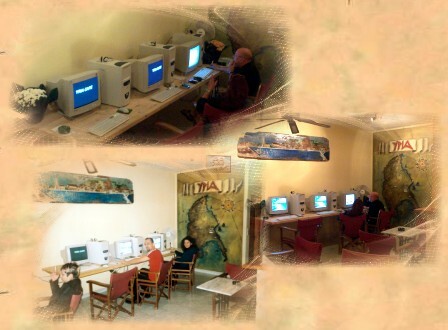 Inside the Yria cafe you are able to access the internet through its own private internet cafe. They have the latest technology available so you can keep in touch while away from home. There are three computers all up to date with fast connection to the internet and enabling you to log on to your personal messenger service including Yahoo!, AOL, MSN, ICQ, MIRC also access to chatrooms and all other internet services.